Hydration and organization…all in one bottle! 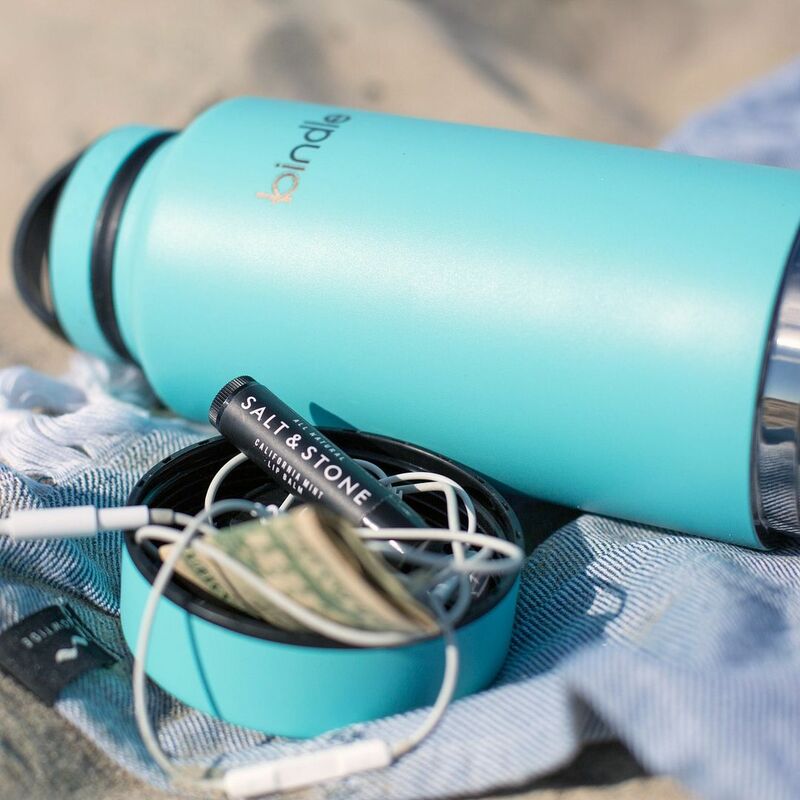 It’s the Bindle Bottle, the world’s first insulated water bottle with secure storage. This is a dual-walled stainless steel, vacuum sealed bottle that holds 24 ounces of hot or cold liquid, meaning that you won’t have a sweaty bottle or one that leaks! But the unique thing about this bottle is that there’s 450 cubic centimeters of built-in dry storage space in the bottom of the bottle. Just looking at the bottle, you wouldn’t know it’s there, so it acts as a “secret” stash to hold your keys, money, credit cards, earbuds, small phone recharger, and more. How great is that?! It comes with a loop lid to connect a carabiner for easy attachment to your backpack or bag for ready access to hydration. Other lids are available as well such as one that has a straw or works well for sipping coffee, whatever suits your fancy. The Bindle Bottle is a very clever bottle for all your TrailblazerGirl adventures, and as they say, “Keep your bottle full, not your pockets”!